Are you amazed by how quickly business glossaries fill up and become hard to use? I have been involved with large complex organisations with numerous departments whose teams have tried to document their data and reports without proper guidance. Typically, the results I have witnessed are glossaries 10,000 lines long, with different grains of information being entered, technical terms being uploaded alongside business terms and everything at a consistent level. What is the right way to implement a model to fill out a glossary to make it useful in this circumstance? 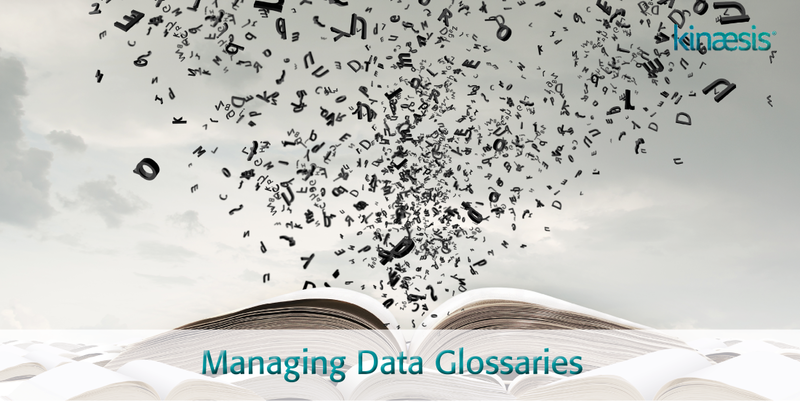 Many organisations have tried to implement a directed approach through the CDO leveraging budgets for BCBS 239 and other regulatory compliance initiatives to build out their data glossaries. Attempts have been made to create both federated models and centralised models for this initiative, however I have yet to see an organisation succeed in building out a resource that truly is value add. Every implementation seems to be a tax on the workforce who show it little enthusiasm, care and attention. Understand the scope of your terms. It is likely that there will be many representations of Country for instance, Country of Risk, Country of Issue, etc understand which one you have. Ask yourself: why does the term that you are entering exist, was it because a regulator referred to it in a report, or is it a core term? Make terminology value add. Make it useful in the applications that surface data, i.e. context sensitive help. If someone must keep seeing a bad term when they hover their mouse they are more likely to fix it. Link it to technical terms. If a dictionary term does not represent something physical then it becomes a theoretical concept, which is good for providing food for debate for many years, but not very helpful to an organisation. Communicate using the terms, they should provide clarity of understanding through the organisation but they quite often establish language barriers. Make sure that people can find the terms in the appropriate resource efficiently so that they can use modern search to enhance their learning. Build relationships between terms. Language requires context to enable it to be understood. Context is provided through relationships. Set out your structure and your principles and rules before employing a glossary tool. Setting an organisation loose on glossary tools before setting them up correctly is a recipe for a lot of head scratching and wasted budget. Start Small and test your model for the glossary before you try to document the whole world. I am not saying that this is easy but following the rules above is likely to set you up for success. Did you spot us in SD Times’ latest article on DataOps? We have all seen the flashy ads and promised benefits when it comes to enabling Analytics and AI for our businesses. Analytics and associated AI solutions are integral for the future of business, gaining you that competitive edge and we would never ever dispute this. Yet before you run out and build out your solutions, it’s time for a health check. Why? Here is the nightmare. Imagine your new fancy dashboards aren’t showing you what’s really happening. Imagine making business decisions on projections that are false. Imagine your AI is automatically driving your business out of control through poor or corrupted information. Or forget all that and imagine the data within your organisation slowly teaching your AI bad habits and corrupting it’s learning behaviours. Implementing a DataOps approach correctly before, during and continually after an implementation is the perfect answer to that nightmare. 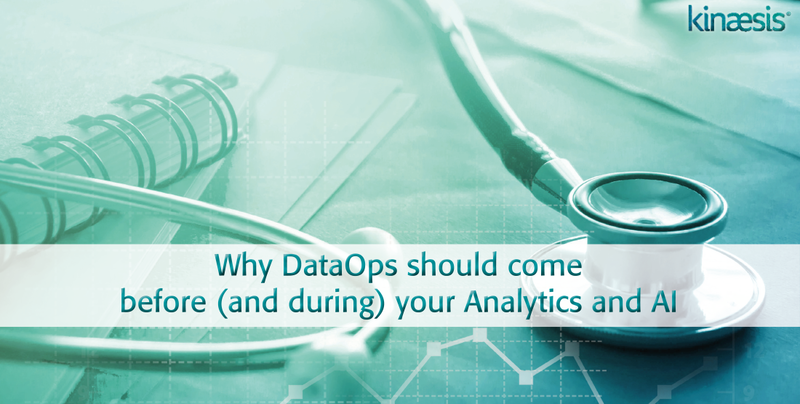 DataOps is the healthcare checkup that checks what is feeding into the analytics and AI solutions to ensure what they are telling you is not harmful. For example, it can be used to assess your data sources, standardise your data into a universal format, check the right data is informing the right areas, understand what data is actually needed for the business to grow and learn. 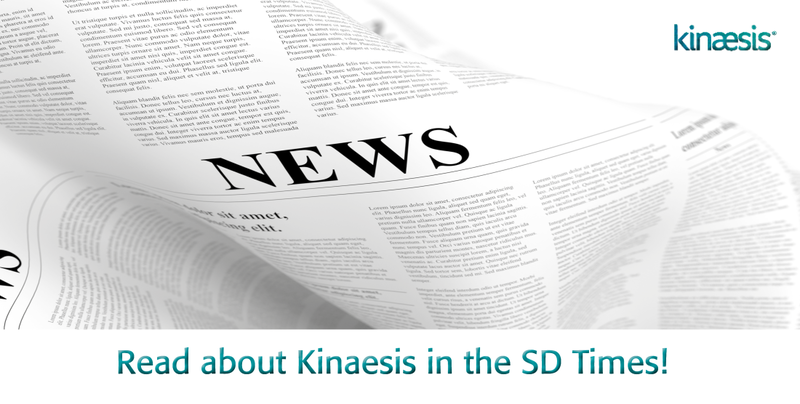 It is why a Kinaesis partnership is invaluable reassurance on your AI and analytics endeavours as we can increase the success rate on projects simply by ensuring that the result truly reflects what the business needs. Yes, you need analytics and AI within your business. Yet you must first check your Data is healthy, correct and as detailed as possible consistently throughout the AI process. This will enable you as a business to plan, project and optimise to the highest degree. Effective DataOps is the way to make sure the fears of ineffective and misinformed data don’t seep into reality.